Believe it or not, 2019 is quickly slipping through our fingers, and while you're working towards your annual resolutions, the garage design world has set its sights on what styles will be big this year. From custom style to functionality to the conveniences of smart technology, these are the hottest garage trends to keep an eye on in 2019. 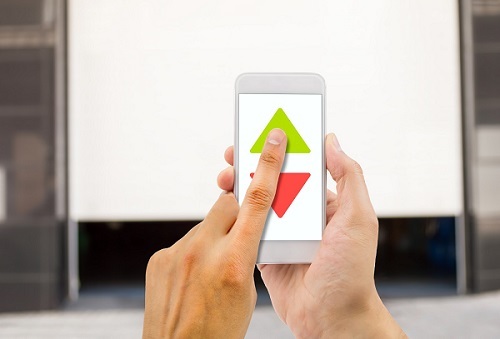 Statista reports that by 2022, over half of homeowners will have some form of smart technology in their homes. Smart home technology devices range from security to convenience and are rising in popularity and availability. Garages have certainly not been left out in these advances. Having a clean garage creates peace of mind. Keeping a garage floor clean, however, presents its challenges. 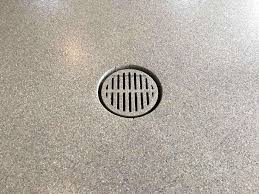 To keep cleaning simple, homeowners have been installing drains-- a game changer in garage cleanliness. With a variety of drain systems available for installation, keeping your garage clean just got easier. 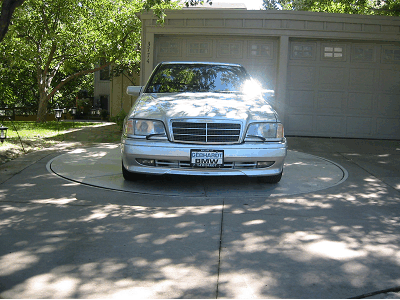 Some systems even allow you to wash your car inside the garage, and snowmelt is a no brainer. In 2019, garage aesthetic is so much more than just your garage door. At Monkey Bars, we are all about seamless design and we are loving this trend! From cabinets to flooring to custom decals- your garage just became another house tour destination with these options. Professional flooring options are becoming more and more popular for its multi-functionality and design appeal. Beyond looking fantastic, professional flooring solutions seal the concrete of the garage floor against dirt, dust or other corrosive agents. Custom cabinets are another great way to upgrade your garage aesthetic. 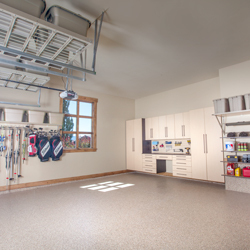 Not only do cabinets provide amazing storage, but they also add to your finished garage look. Adding value and functionality to your home never looked so good. 44% of American homeowners wish they had bought a bigger home according to this recent study. Homeowners are finding other solutions to this problem through garage conversions. Wish you had an in-home gym? 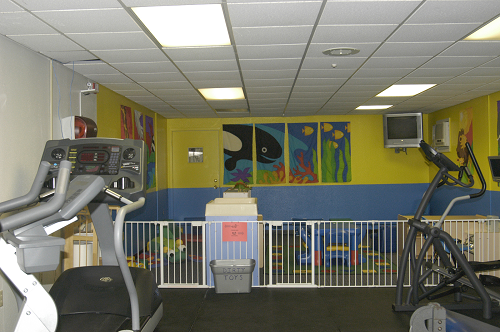 Why not convert half your garage into that dream gym or art studio? Garage conversions should blend with the overall style of the house. While planning a garage conversion it’s important to remember that the garage is just as much a part of the home as the kitchen or the living room. Are sheds a thing of the past? This year homeowners are ditching the sheds and turning to their garage as a workshop space. 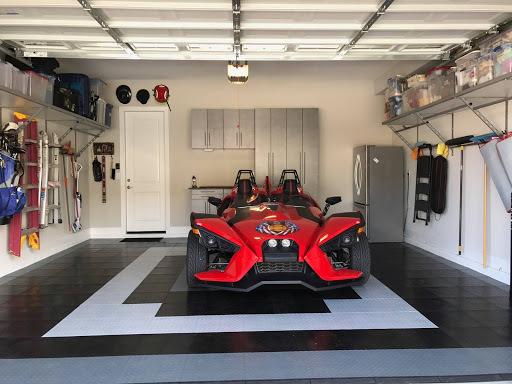 The modern garage is used for more than simply parking vehicles; recently homeowners have been turning to the garage to work on various project and hobbies. Many DIYers, woodworkers and gearheads are installing electrical outlets and proper lighting in the garage to create the perfect workshop space. If you don’t have space for large overhead lights you can install smaller LED’s into the wall or mounted under your upper cabinets to provide lighting directly onto your workspace. Having an electrical strip directly on the wall behind your workbench will save you time and energy in having to switch out different tools during projects. Your garage can be and should be much more than your personal storage unit; it should allow your hobbies to be accessible and available anytime. 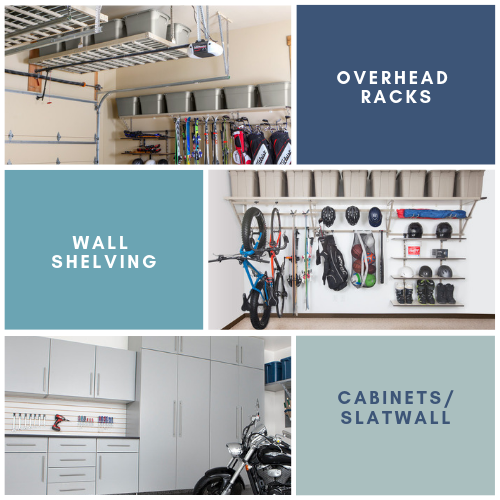 Today’s garage storage innovations make storing your Christmas decorations and out of season gear easier while giving you the freedom to access key items. Effective use of walls and ceilings maximizes space to store all of your seasonal decorations, sports gear, tools, etc. keeping belongings organized and easily accessible. These products help create opportunities to get your belongings up and off the floor without hindering your parking space. 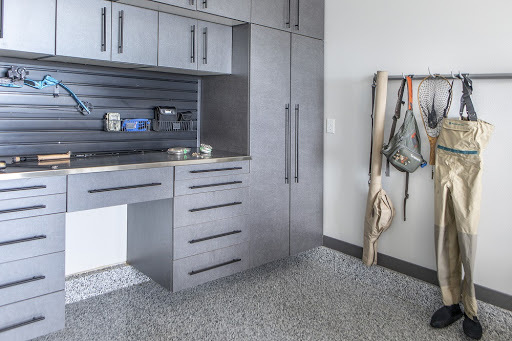 In addition, choosing custom and adjustable products will accommodate your unique storage needs the best. Freezing winters and blistering summers often keep your garage from being fully utilized year-round. While you may have several projects you want or need to work on during those months, it can be difficult to find the motivation when the weather simply won’t cooperate. Installing proper heating and cooling systems allows you to have more freedom in your garage and the ability to work within it during the whole year at all hours of the day. 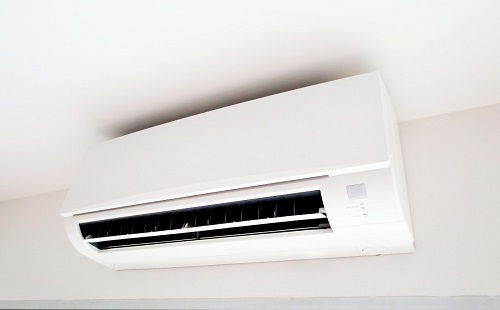 A heat pump gives you the ability to control the temperature in your garage during both the summer and winter months as they have a reversing valve to work both ways. It can be easily installed and comes in a variety of sizes to fit your garage perfectly. Here are examples of different heat pumps that could make any garage more comfortable throughout the year. If you find you only need a cooling system, consider large overhead fans or a large standalone fan to help circulate the air and keep the heat from the building. If you only need a heating system, an upright electric heater will give you access to warmth without needing it throughout your entire garage. Don't have a three-car garage? We have you covered. 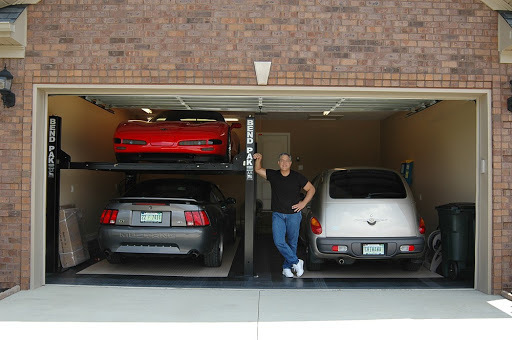 Car lifts use a hydraulic system that specializes in vertical car movement in your garage. This can give you double the parking space by parking one car underneath another. Car turntables have been used since the turn of the century, Henry Ford himself included a turntable in his own garage. Turntables can be either motorized or manually rotated. They can be installed inside your garage or outside of your garage on your driveway. They can even facilitate safer and easier parking. This luxury garage enhancement is on the rise and is adding itself to homeowners dream garage design list. Get onboard 2019’s hottest garage design trends! Let us help transform your garage, click here to locate your local Monkey Bars dealer!